Mazz Murray has been singing forever. At 21 she won Best European Vocalist and then began a long famed career in musical theatre starring in Queen’s “We Will Rock You” as the iconic Killer Queen. She has starred in most other rock and pop based musicals: Rent, Mamma Mia and The Dusty Springfield Story, Patsy Cline and Roy Orbison. Born into a musical heritage she is the daughter of pop song writing legend Mitch Murray and 60s recording artist Grazina Frame. She was the guest star on Il Divo’s last World Tour “a Musical Affair”. Touring Russia, Norway, Finland and Sweden. Mazz and her band WOMAN supported both Billy Ocean and Earth Wind & Fire on their UK tours. Familiarity is a fundamental draw of a standards album. In fact, it’s a big part of the point. 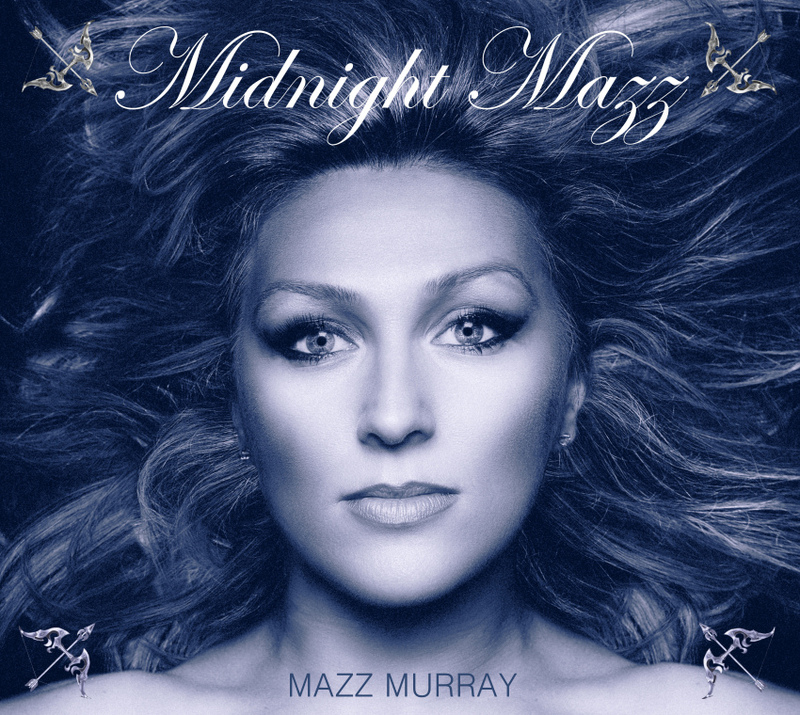 By including songs as well-known as “Lately” and “Love Of My Life” on Midnight Mazz, her debut solo album, Mazz Murray allows listeners to lean into words and melodies they already know, and to relish the unique phrasing and deep romance and heartache she brings to tried-and-true material. Midnight Mazz could almost be considered a loose concept album, and not just because it’s a back-to-basics move. Mazz has chosen to focus on material that’s soft, intimate, and romantic—though nothing is upbeat, she makes everything sound hot. These are songs you’d play in the background during a romantic evening. Or indeed, alone time. It’s all right there in the song titles: The album opens with “Wild Is The Wind”, segues into “Love Of My Life,” and ends with “I’ll See You in My Dreams,” and “Arms Of Angels.” They all unfold with the intimate feel of a Summer evening on the balcony.